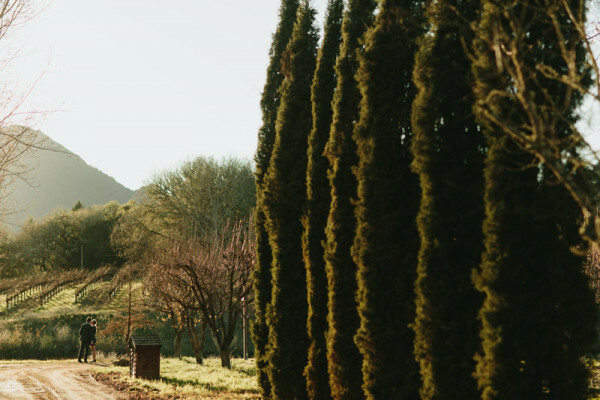 Why eat, pray, love when you can stay, play and explore at this family-owned and operated certified organic farm and vineyard with soul? 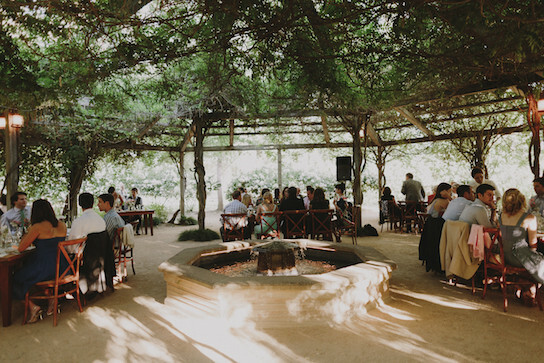 Gatherings here allow for time to stand still, conversations and connections, matrimony and memories to be seared into the back of your eyelids so you'll close them... just to see them again. 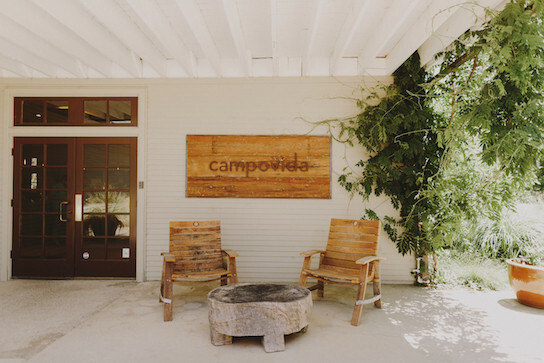 Campovida's Estate Winery and Farm is a hidden gem located in the beautiful town of Hopland, only a short drive north of Healdsburg. 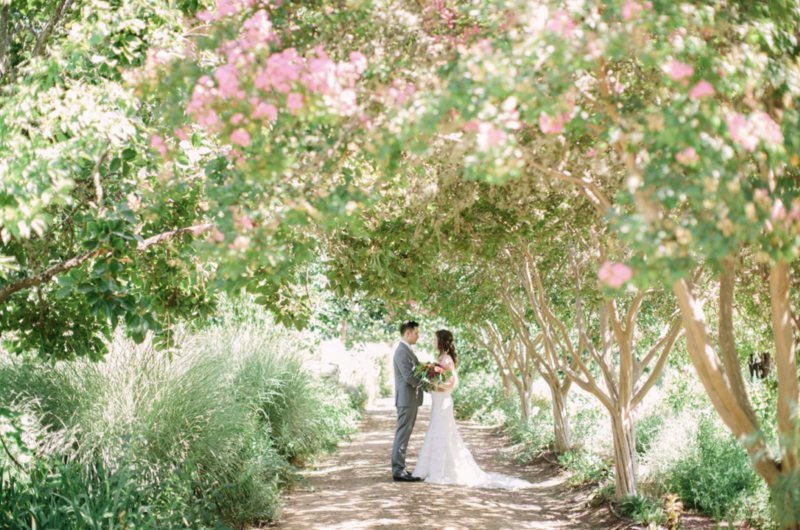 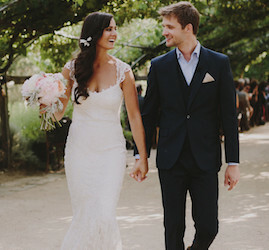 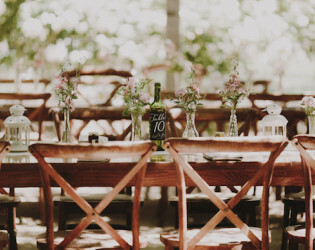 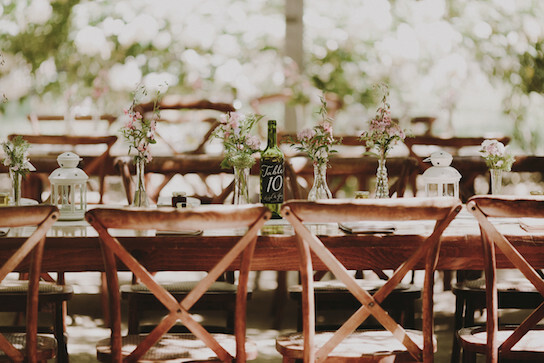 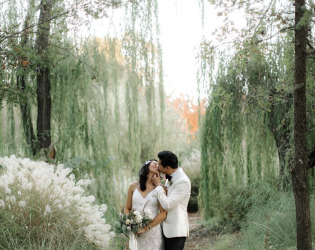 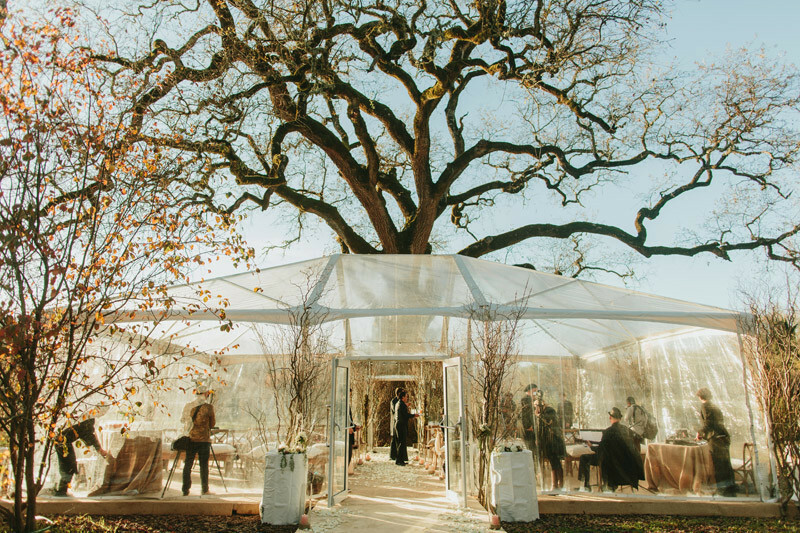 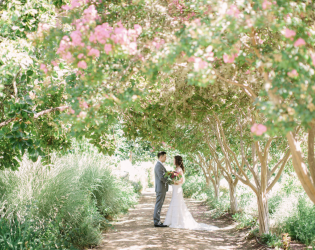 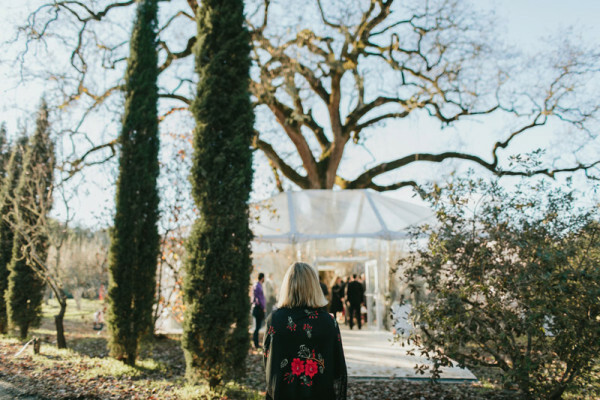 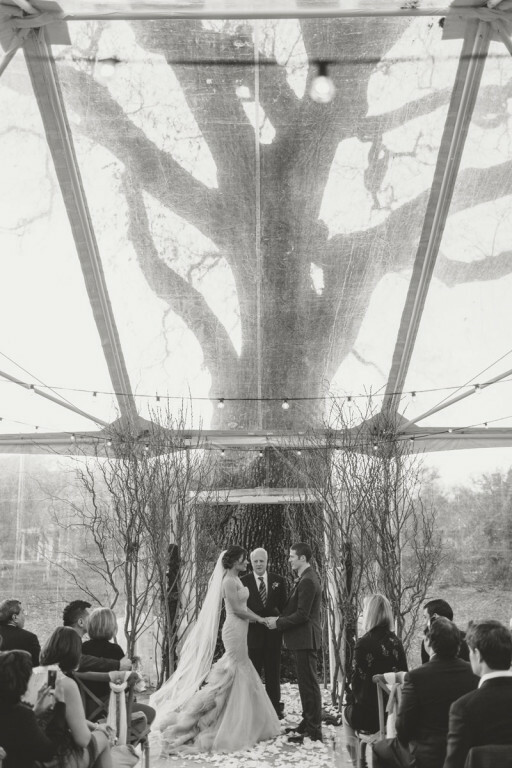 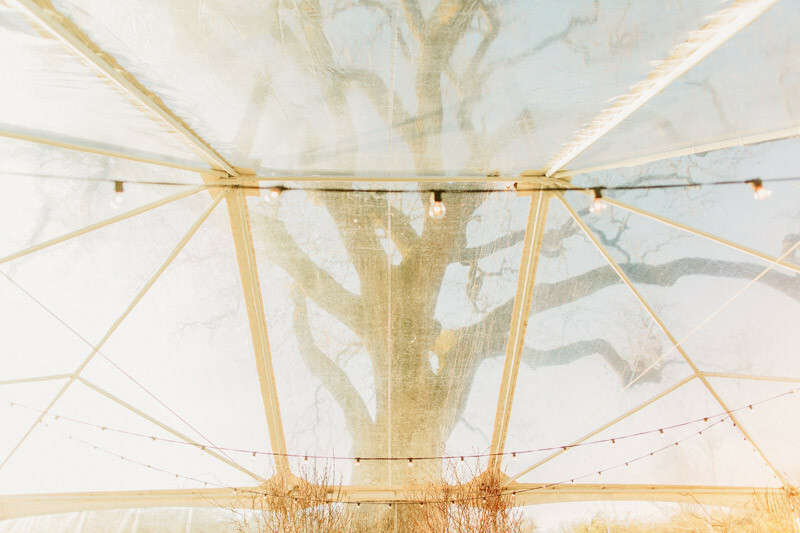 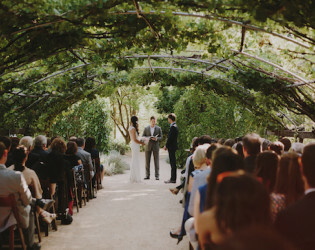 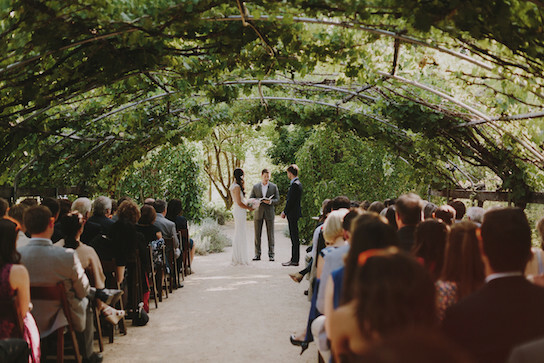 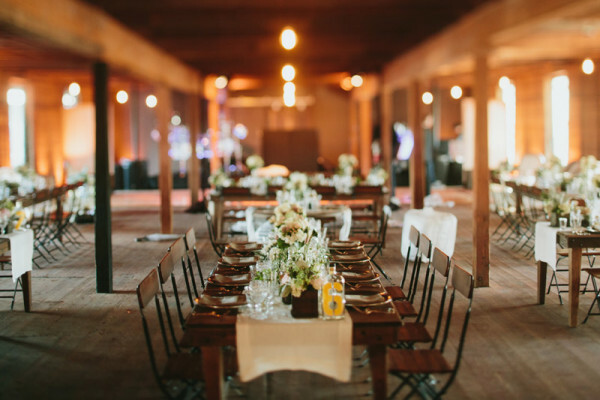 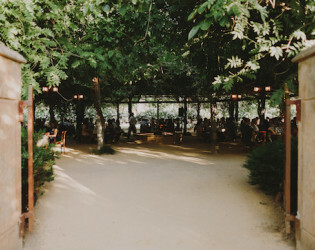 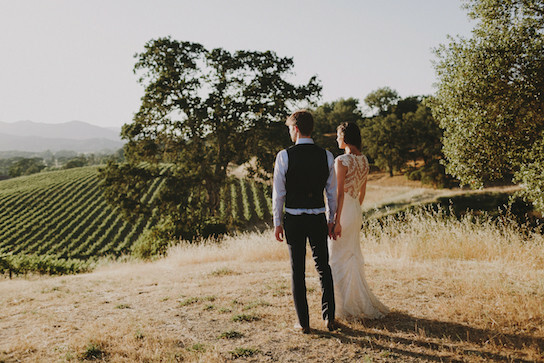 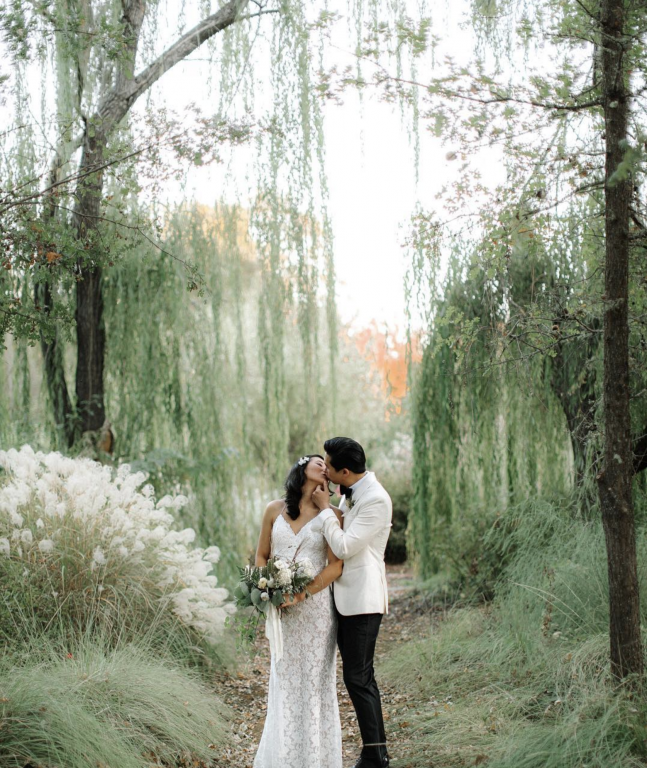 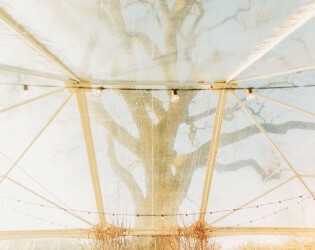 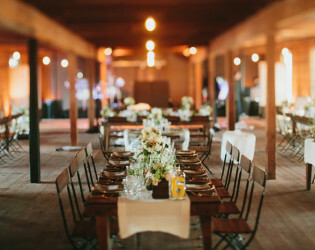 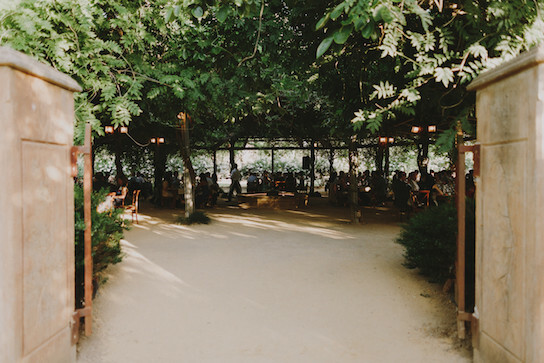 Our venue offers you the flexibility of choosing from a range of stunning locations including a trellised grape arbor, magnificent five hundred year old Valley Oak tree, world renowned gardens and an 1890 reclaimed hop barn. 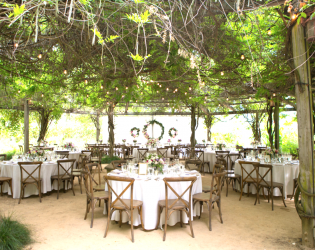 We partner with exceptional preferred caterers and planners to ensure the success of your event. 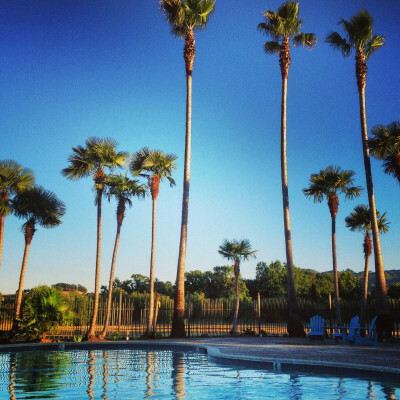 Stay at our on and off site overnight accommodations to create a weekend long experience. We are equipped to manage events from the intimate to the grand, all while maintaining an experience steeped in nature's beauty. We are a blank slate so that you can bring in the design and rentals you prefer... We require an event planner and caterer. We comfortably fit parties up to 180 in our most intimate spaces in the garden, and we also have options for up to 250 guests with an additional fee in our beautiful 1890's restored hop barn. 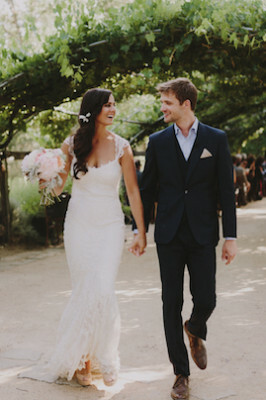 We have designed packages specific for elopements and small groups as well. 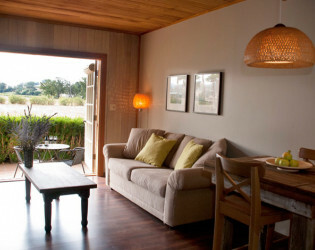 We have a total of 10 on-site rooms. 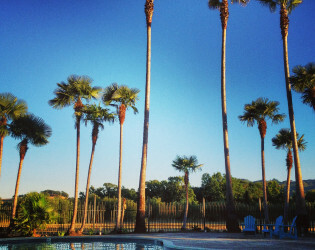 Thet consist of: 3 standard rooms, with queen size beds, shower/tub, small refrigerator, and private patio. 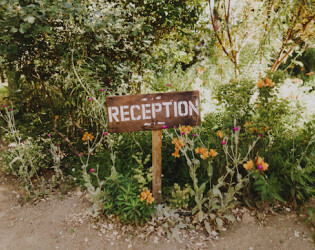 1 junior suite, queen size bed, shower/tub, private patio, full kitchen with oven, dining table for two, and living room/seating area. 2 suites, each with a queen size bed, stand up shower, jacuzzi tub, double sink, private balcony, kitchenette, dining table for four, and living room/seating area. 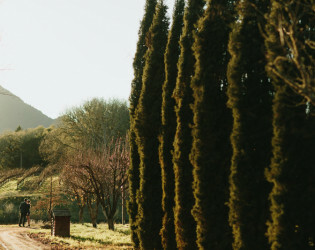 Farmhouse, three individual bedrooms with three individual bathrooms, all with showers/tubs, full kitchen, living room, private lawn and deck, and dining table for four. 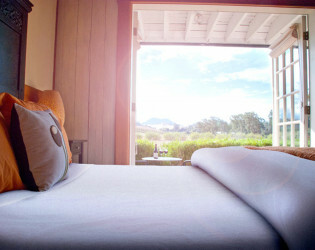 Private honeymoon cottage, queen size bed, dining table for two, ADA accessible shower, private patio and lawn. 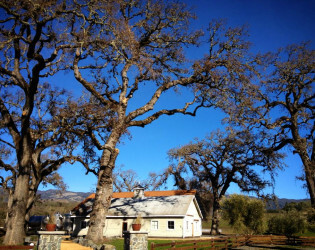 Downtown we have another 7 rooms available at The Stock Farm, our sister property. 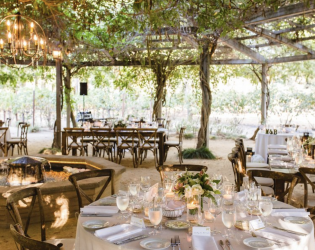 Abundance every turn...there are plenty of beautiful spots than you can imagine your special celebration within the 50 acres of the property. 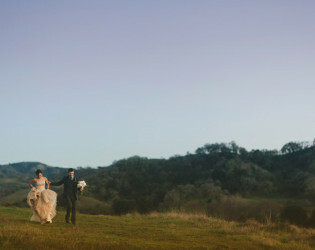 Many of the photographers who have been here, say it is the most magical spot to photograph a couple. 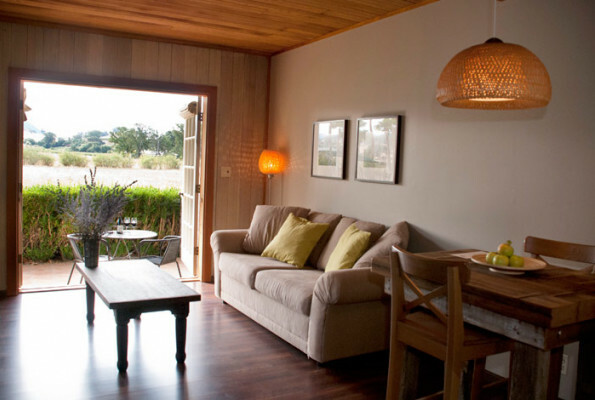 Our guest who stay enjoy a view of vineyards, valley oak and olive trees. 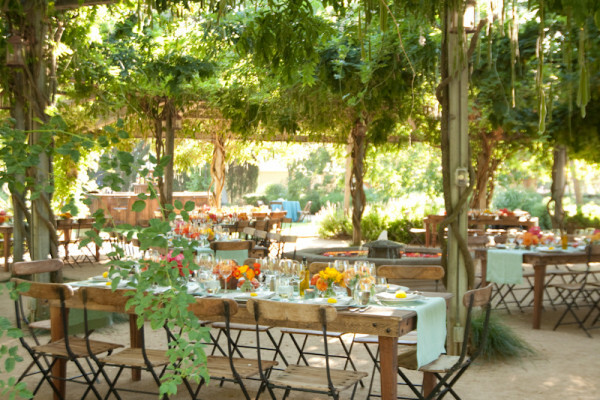 Our garden of gardens has been awarded one of the best places to visit by Sunset magazine. 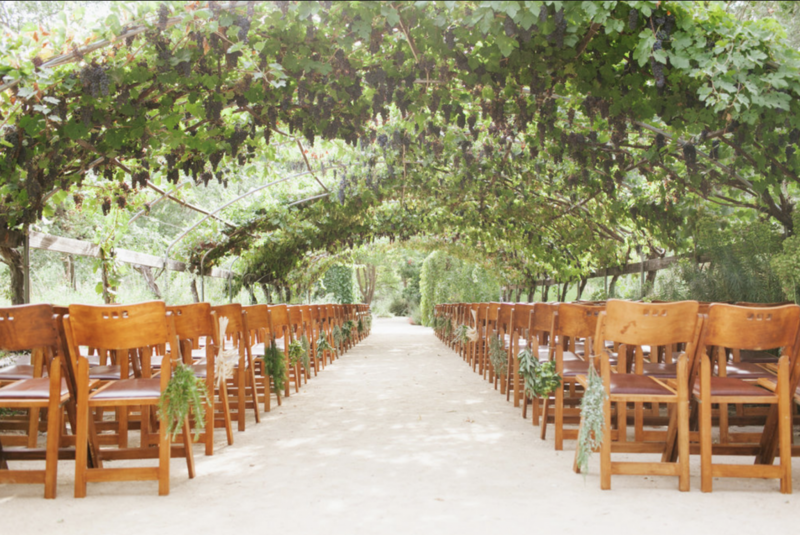 For special day-time activities for your guest, you can book a private wine tasting and tour. 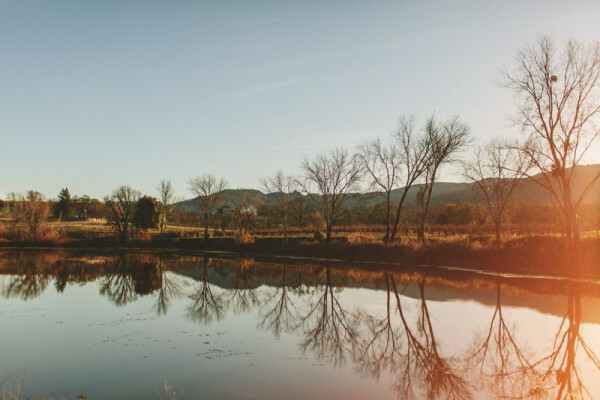 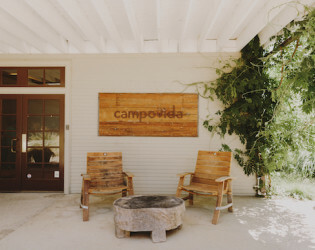 The place that we now call Campovida has been home to the Pomo Indians of Sanel Valley, a cattle rancher, a railroad and timber baron, a hop broker, a lumber executive and a host of winemakers, each with a reverence and respect for the bio-diversity of this place. 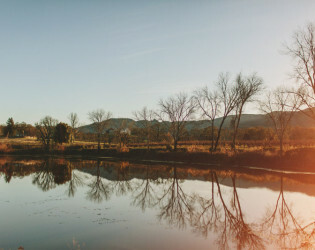 Each deeply concerned with preserving the land and its agricultural heritage. 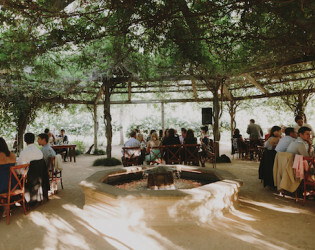 Now, as dedicated stewards of the land, Anna and Gary and the team at Campovida tend to 13 acres of organic and diverse gardens, patronize local vineyards and families for the grapes they turn into award winning wine, and are the maintenance crew, the concierge, the security crew, the gardeners, and the dreamers behind Campovida. 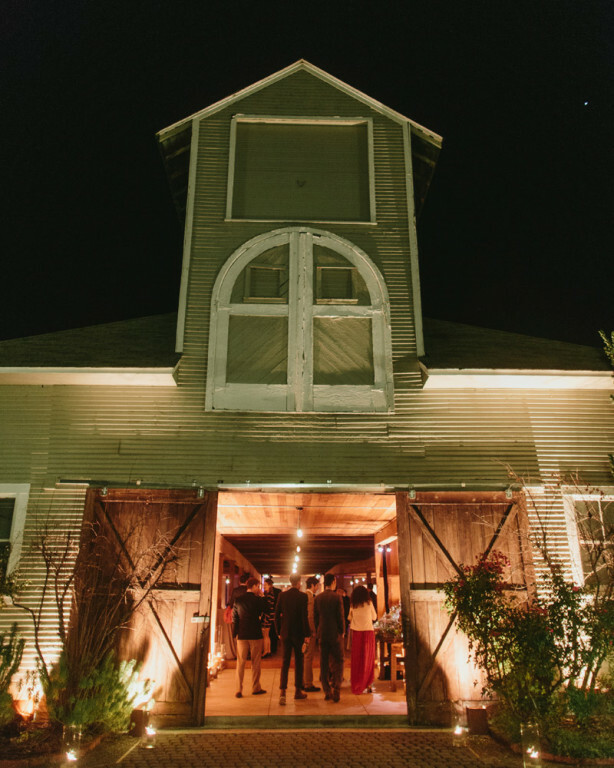 You will find 5 large barns from the late 1890 each carefully reclaimed and offering unique spaces to taste, stay and play. The barns are surrounded by organic vineyards, 500 year old valley oak trees and olive tree orchards. 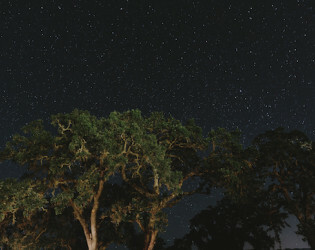 At night, you can see the milky way without a telescope. 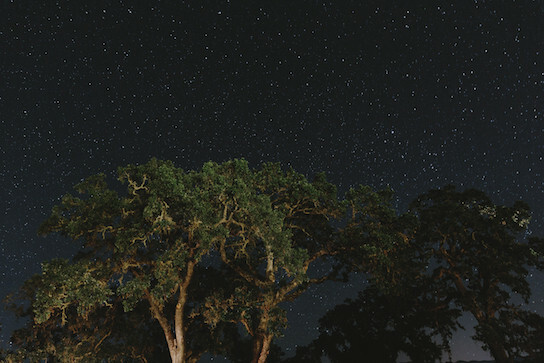 You will see and hear sounds of nature that will remind you of how we are all connected on this place we call earth. 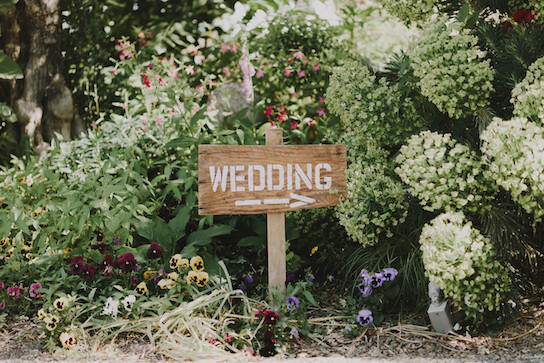 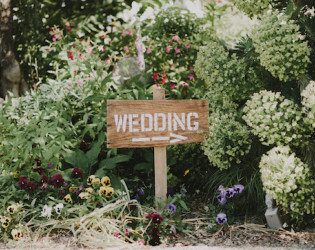 Our venues biggest draw is the 13 acres of certified organic gardens. 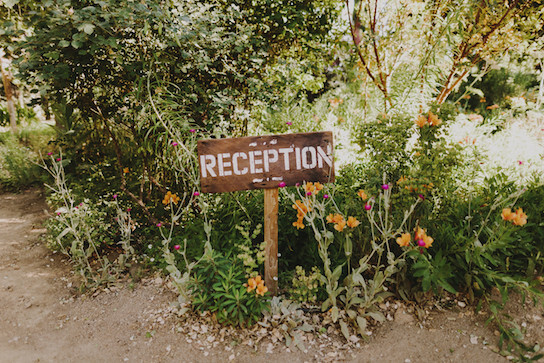 The gardens are breathtakingly beautiful, but also functional, providing seasonal produce for our restaurant, Piazza de Campovida, less then a mile away in downtown Hopland. 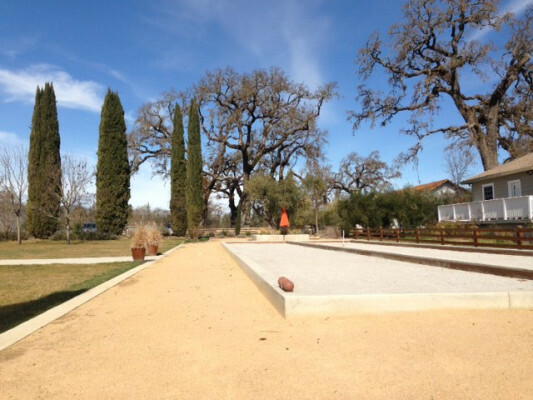 There are bocce ball courts in nearby proximity to our wine tasting room. All on-site guests have access to our salt water pool, which features palm tree views, an outdoor shower, and plenty of seating. 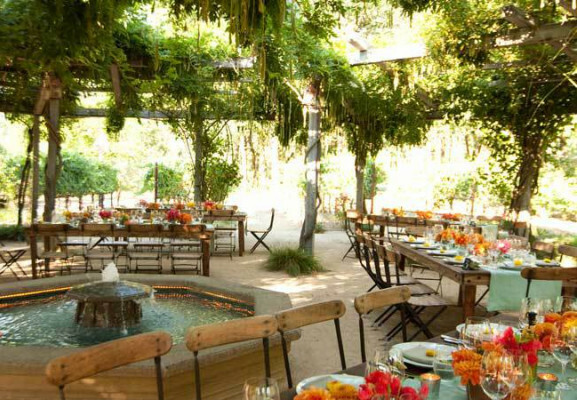 The 6 acre garden is accessible to stroll where you can sit along the 5 acres pond and take in all of nature's beauty. 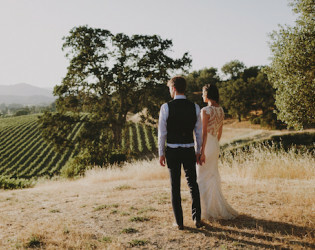 Couples who sign up for our Pura Vida wine community will receive special wine discounts for their event on our unique and award winning wines. 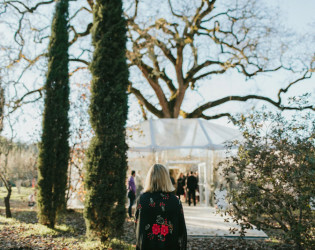 Awards & Notables We have been featured in Martha Stewart online, Style Me Pretty, Green Wedding Shoes, San Francisco Chronicle and many other wedding blog sites. 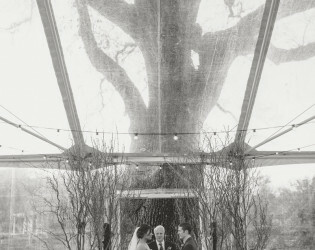 We have hosted celebrity weddings with mentions of the wedding in People, Eonline and Us magazine. 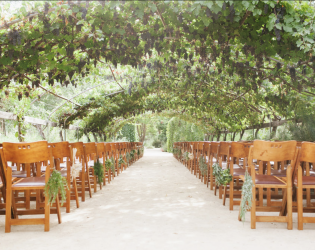 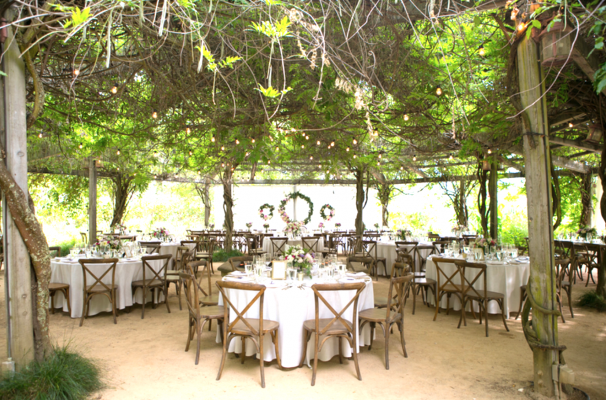 A beautiful arbor sheltered in grapevines and bordered in flowers and fruit trees, the Learning Arbor is a perfect location for a ceremony or farm table style dinner. A beautiful space surrounded by flowers, grapevines, and a grand tuscan style gate, the Tuscan Garden offers wisteria blooms from above and a bubbling fountain below. 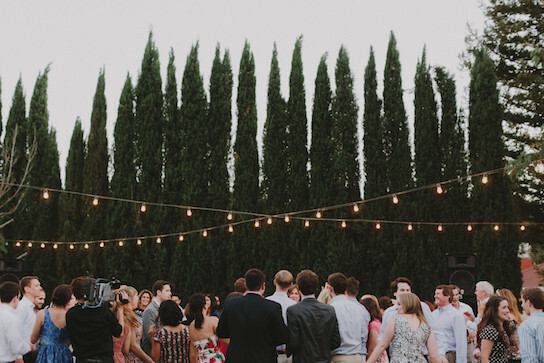 Just to the side is a spacious lawn with room for a band and dancing. 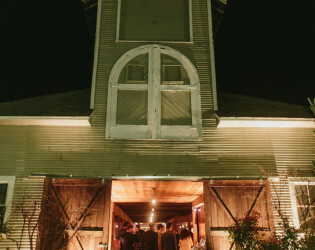 A vast barn with antique wood floors, a classic barn door, and gorgeous glass doors on both sides. 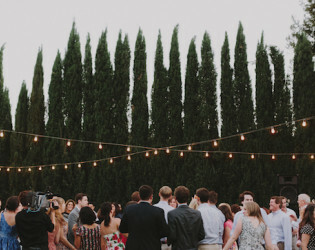 Perfect for a night time reception with sparkling lights and rustic decor. 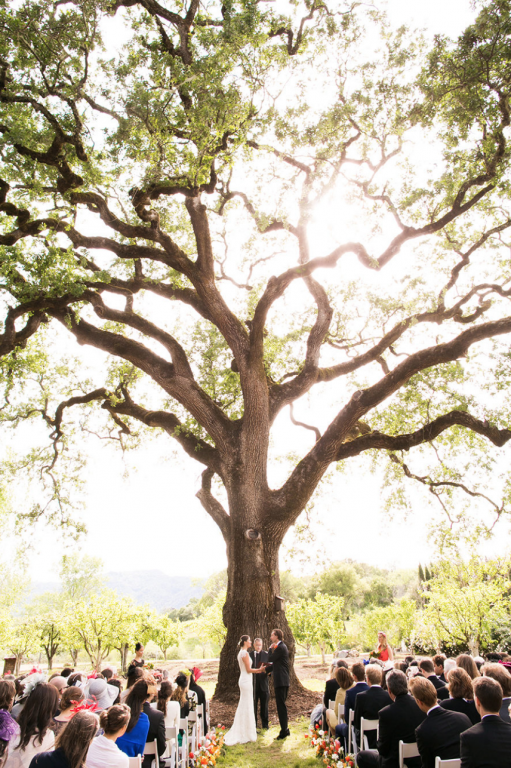 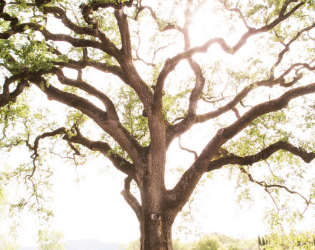 Under this 500 year old majestic and historic valley oak, you will be surrounded by the sounds of nature. 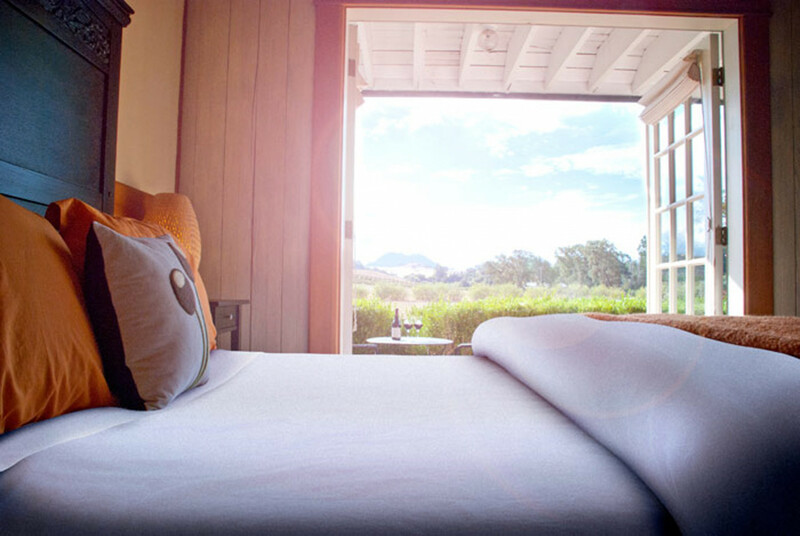 The Stock Farm, our boutique Inn in the town of Hopland, less than a mile away from Campovida, features seven luxury suites, a pub serving small batch brews and a pizzeria serving delicious wood-fired pizzas and entrees made with produce from Campovida's organic gardens. 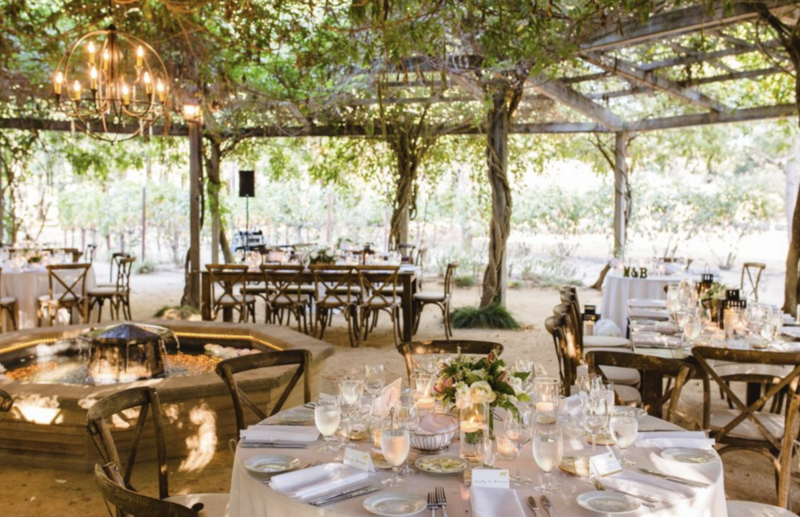 There are many spaces for events at this California estate venue. 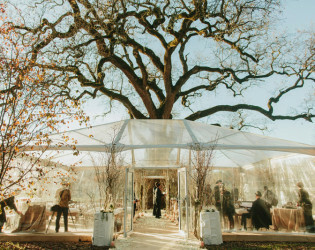 Set up a clear tent in front of a majestic tree. The 13-acre organic garden, offers six different gardens within a larger garden that caters to the five senses. 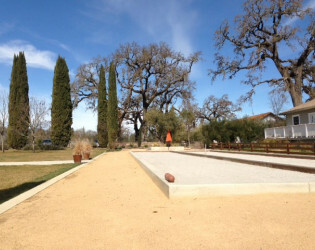 Campovida is home to Taste of Place, which offers a collection of wines and epicurean delights. 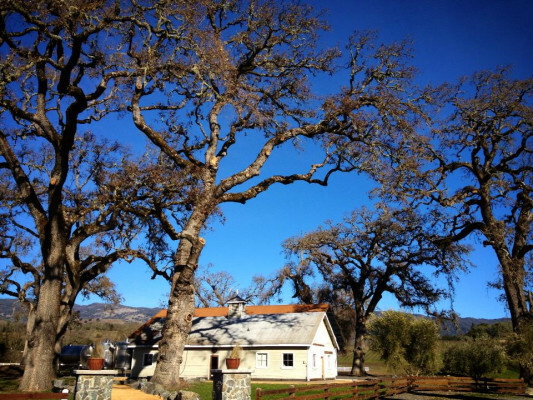 The sprawling gardens and cottages on the property provide the ideal setting for workshops and corporate retreats. 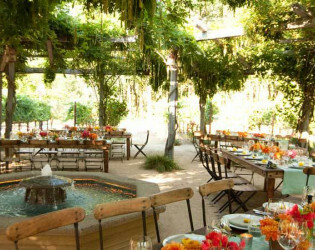 Host a birthday or dinner party under the stars. 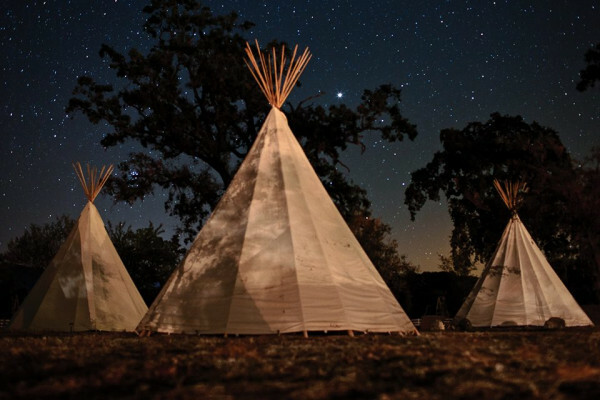 You can even go glamping at Campovida. 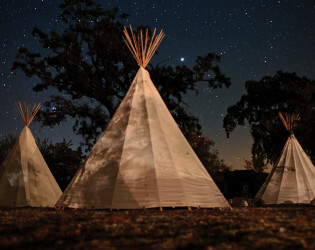 Stay in the cabins or hire a company to set up tipis and tents on the grounds. 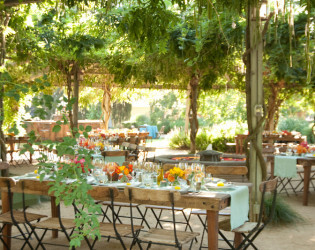 The sprawling venue has a farm house, barn, herb garden, tuscan garden, a pool, cottages, lavender fields, oak trees. 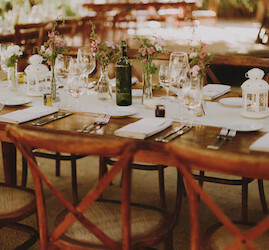 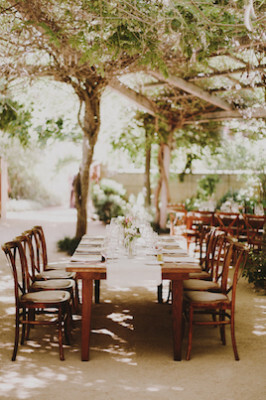 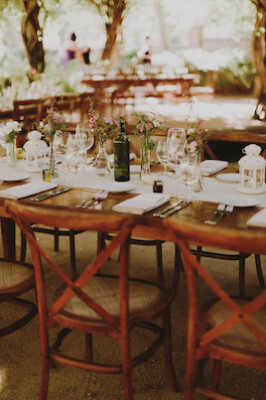 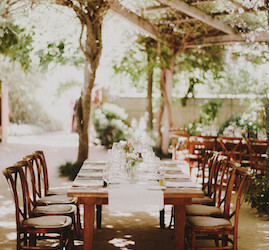 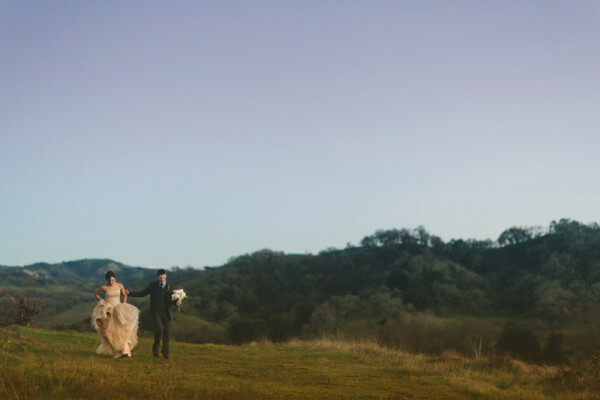 Play a game of bocce on this sprawling rustic ranch and vineyard venue. Old barns and new wine.